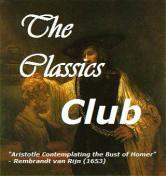 The Classics Club is a group of book bloggers who have signed up to read at least 50 "classics" within five years. This is my list. I have signed on to finish the 50 books on this list by the end of 2023. My list is in alphabetical order by author's name. I'm going to read them in any old order. As I read a book, I will note that I finished it. Many of these books are on other book lists I'm working on. I've linked to those lists. Welcome! Looks like a fun list & I'm very much looking forward to what your thoughts are. Nice to see you joining he Classics Club. So many interesting books on your list. Have fun with the challenge! Great list that you cherry-picked from several lists of books available in the internet! It makes your reading so varied. John Hersey The Wall is one of the books I want to read. Yeah! congrats for joining! You need to read Robinson Crusoe BEFORE reading The Moonstone, you will see why! I just finished the Moonstone and am preparing my review. My list is here: https://wordsandpeace.com/2016/01/01/the-classics-club-2016-2020/ Just 8 more to go (before end of 2020). I'm hoping to be done soon and start a new list! Reese: Thank you! And congratulations again on winning the Jet Setter Prize in the 2018 European Reading Challenge! Good luck in the 2019 Challenge! Christina: Thank you -- I have been meaning to sign up forever and finally had time and bandwidth to pull my list together. I'm excited. Nancy: Yes, the lists I pulled from are all lists I've been keeping track of here on Rose City Reader. SO reading my CC books will help me make progress on some of my other lists! I can't resist a list! Emma: Thanks for the tip on RC and Moonstone! Will do! I love storyline serendipity, so I will try to read those early on and find out the secret.